"I thought 30 years of shirtmaking might have taught me a thing or two about corduroy. I thought wrong. These glorious new shirts are crafted from the fine ‘wale’ variety, giving them a divine silky touch, rich depth of colour and slight sheen. They’re finished with elegant smoked buttons and can easily be dressed up for an evening out." 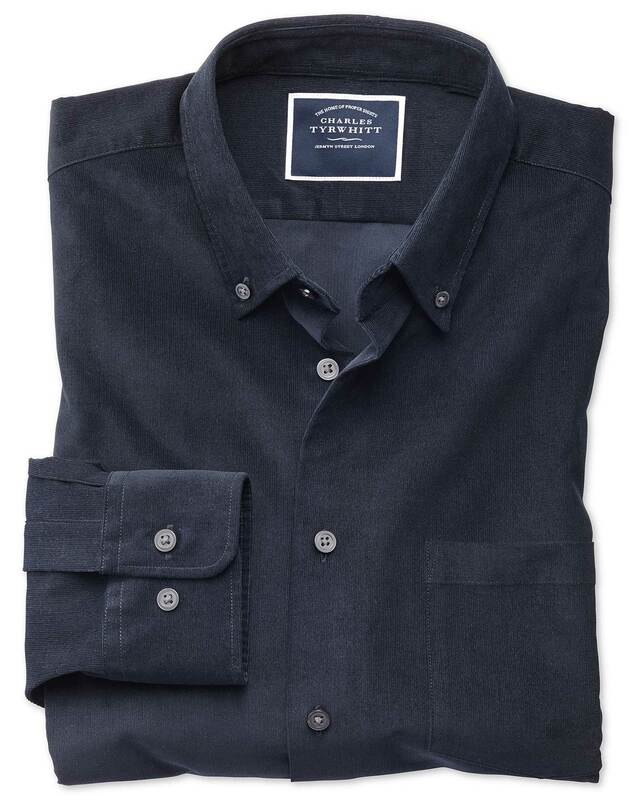 "Silky smooth with a subtle sheen, this modern shirt is a sleek everyday piece." Response from Charles Tyrwhitt: This is very odd indeed, as I personally own one of these lovely shirts and haven't experienced the same issue. We would be more than happy to provide a replacement if you wish, as you are fully covered by our 6-month no quibble guarantee - so please do let us know. A return can be completed online very easily at www.ctshirts.com/rebound and a Freepost return label will then be provided. Thank you for raising this with us. Response from Charles Tyrwhitt: I have every confidence that the quality of our shirts will shine through once you have worn them a few times! We only ever use the best materials in the construction of our shirts and these lovely fine cord shirts are ever so elegant. Nevertheless, we wouldn't want you to feel like you were stuck with an item you didn't enjoy, so you can always return any item to us under our 6-month guarantee. Great fit and finish,just what I wanted.